If you’re looking for a last minute, light appetizer for a grill-out, I’ve got you covered! 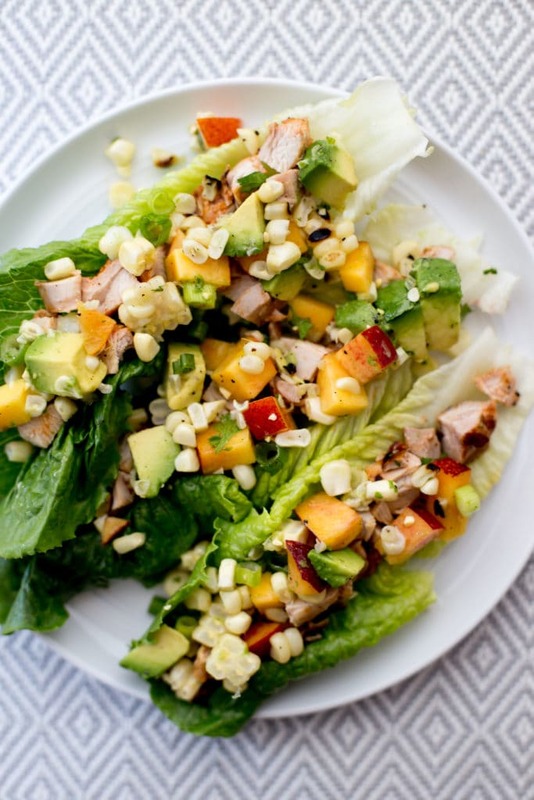 Crunchy leaves of romaine lettuce are stuffed with BBQ-grilled chicken, then topped with a perfectly dressed salad of charred corn, juicy nectarine, and rich avocado. 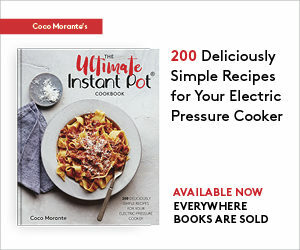 When the kind folks at In The Raw asked if I’d be interested in featuring their stevia-based, zero-calorie sweetener in a blog post, they included links to some recipes I could share with you all. They’ve got a remade, whole-fruit take on rocket pops, as well as a beautiful 4th of July Celebration Cake. 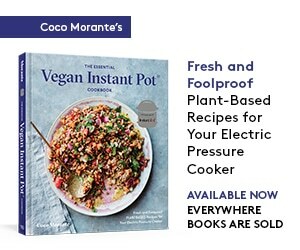 While I have not made it yet, I’ve included the cake recipe at the end of this poist in case you’d like to try it out! The recipe on their site that interested me the most wasn’t a dessert, though, but the Sweet ‘N Tangy BBQ Sauce. After all, store-bought sauces are usually full of sugar, and I was intrigued by the option of a homemade, less sugary-sweet version to use for all of my summer grilling! I substituted smoked paprika for the regular kind, and toned down the cayenne pepper a bit since I know that the one in our pantry packs a serious punch. The sauce came out thick and tomato-y, with just enough sweetness to stand in for the bottled stuff. I’ve been wanting to make a corn and avocado salad ever since trying the one from our favorite rotisserie chicken truck, Roli Roti. My favorite thing about their salad is the generous helping of avocado, so I diced up a whole large fruit to go into my version. I also included a diced nectarine for some sweetness, and I dressed the salad simply with lime juice, olive oil, salt, pepper, and a big handful of chopped cilantro. As for the BBQ sauce, I brushed that on some boneless, skinless chicken thighs, then grilled them on a hot grill until they had a nice char and were done in the middle (about 5 minutes a side). You can use the chicken thighs for sandwiches (a little coleslaw in there would be good, too! ), slice them and put them on top of a green salad for a light lunch, or make an appetizer like I did, dicing and spooning the meat onto lettuce leaves with the corn salad on top. 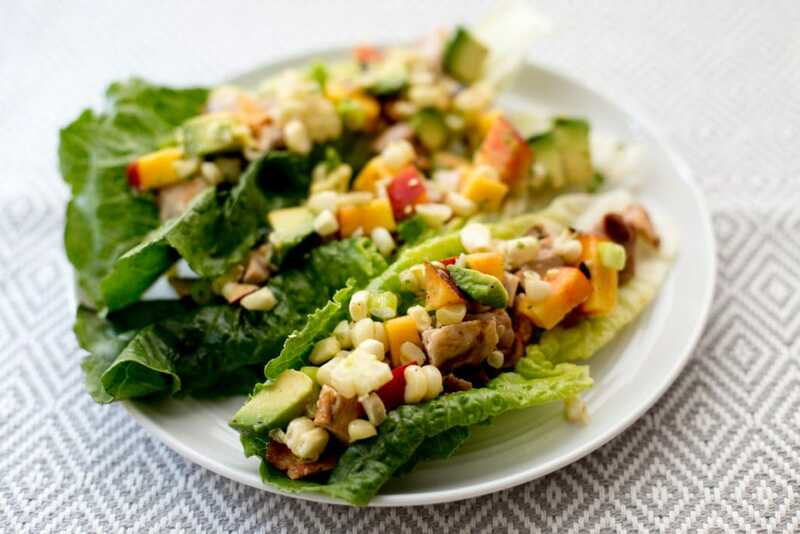 Grilled corn salad and chicken are stuffed into crunchy leaves of romaine. Makes a great appetizer or even a light lunch! Prepare a grill or grill pan at medium-high heat. Drizzle the ears of corn with 1 tablespoon of the olive oil, and season them all over with the salt and pepper. Get in there with your hands or a pastry brush to really get the seasonings and oil onto all of the kernels. Grill the corn for about 15 minutes, rotating it every few minutes to ensure that all sides get a good char. Remove it from the grill and let it cool. Coat the chicken thighs evenly with the BBQ sauce. Grill them for about 5 minutes per side, until they are cooked through and nicely charred. Set them aside to cool. 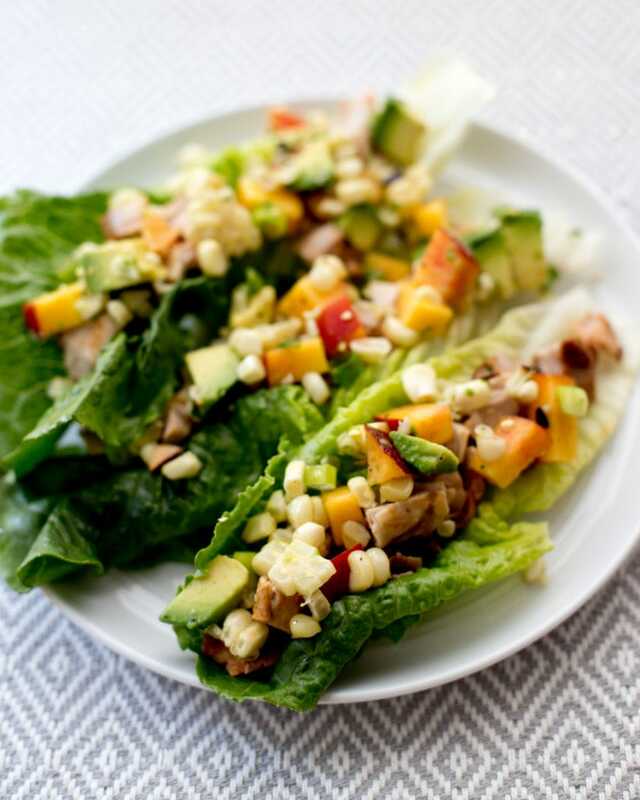 Slice the corn off of the cobs, then toss it with the avocado, nectarine, green onions, cilantro, lime juice, and the remaining tablespoon of olive oil. Taste for seasoning, adding more salt and pepper as needed. Set out the romaine leaves on a serving platter. Dice the chicken, then spoon it onto the lettuce leaves. 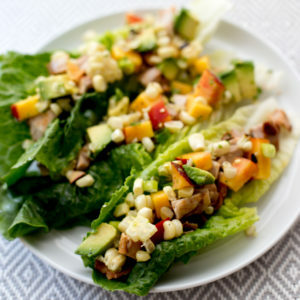 Top each leaf with a generous spoonful of the corn salad, and serve right away. 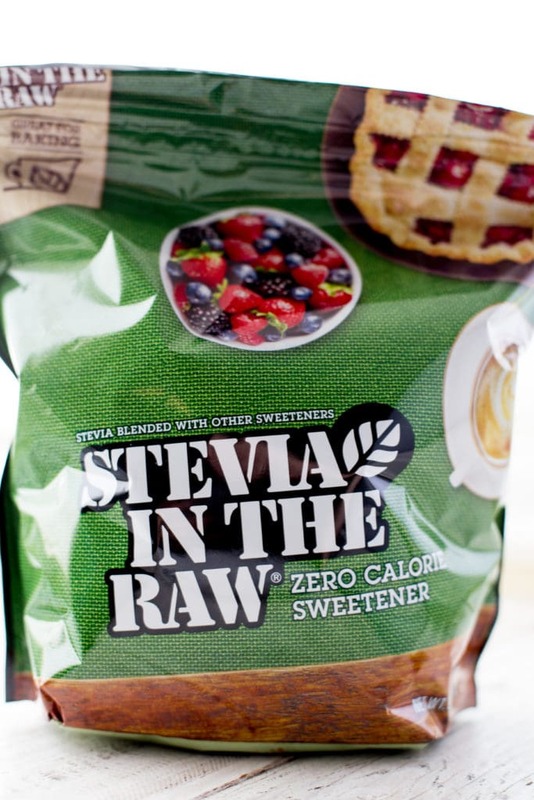 Stevia In The Raw stands in for a portion of the sugar in this cake. 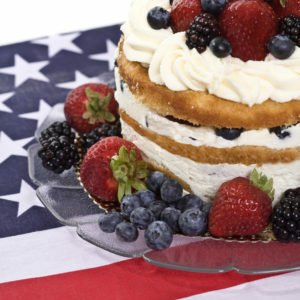 Topped with fresh berries, it's a festive option for the 4th of July! The Raw® and vanilla. Using electric mixer at high speed whip cream mixture until stiff peaks form. Spread a thin layer of whip cream on top layer of cake. 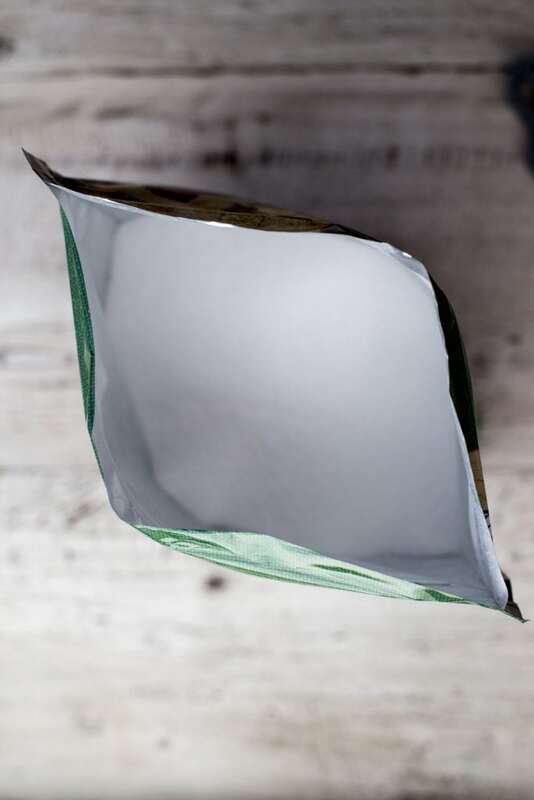 Pipe whip cream around edge using a pastry bag. Trim cake with blueberries, blackberries and strawberries. Serve immediately.